This easy Skillet Blondie with Bourbon Caramel Pecans is thick and chewy, studded with pecans, then topped with the most luscious bourbon caramel! Are you drooling, yet?? I am! 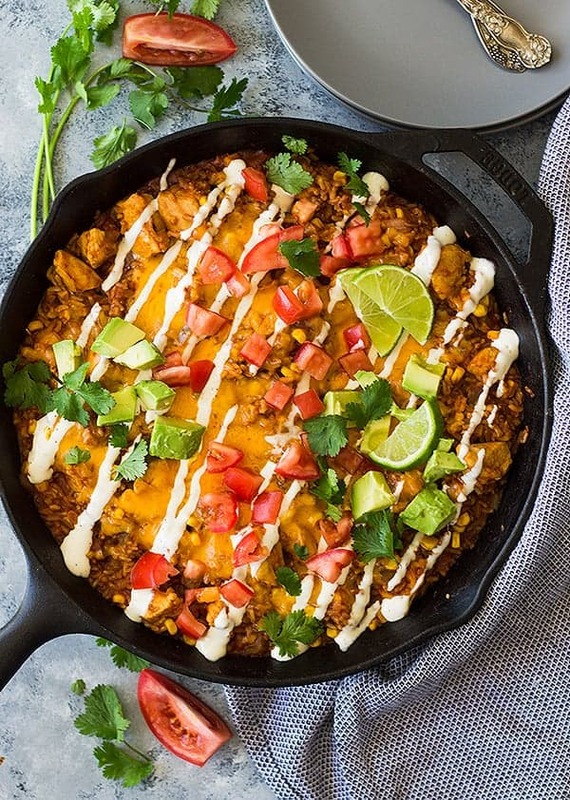 Just looking at these pictures again makes me wish I still had this skillet of gooey goodness! 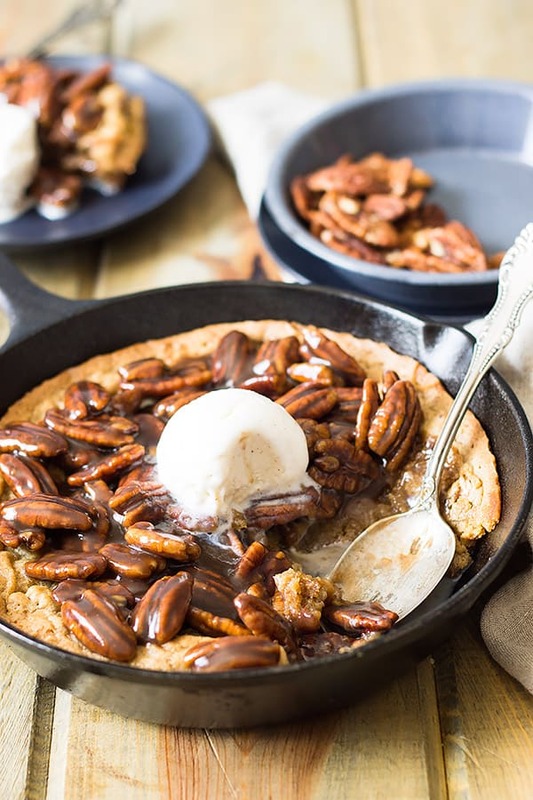 This skillet blondie with bourbon caramel pecans will be the highlight of your dinner, I promise!! I made this out of desperation for dessert the other day because I was hungry for chocolate chip cookies but I was too lazy to make cookies. I know, I have a problem! So, I thought I would make a skillet cookie. Now, when I went to the pantry I was almost out of chocolate chips— that should be a crime! Now, I was starting to rack my brain for something different to make but I really wanted a cookie. I decided on a blondie but I didn’t want just a plain blondie. I saw the bag of pecans staring at me so I decided to grab those and I instantly thought about caramel. 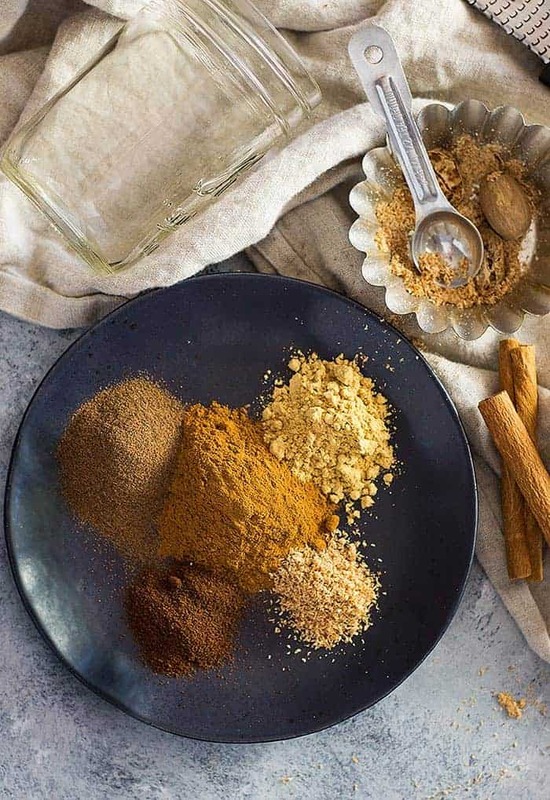 It’s fall time and those flavors along with apple and pumpkin are always on my mind! Then my eyes drifted over to my husband’s whiskey bottle and that sealed the deal. 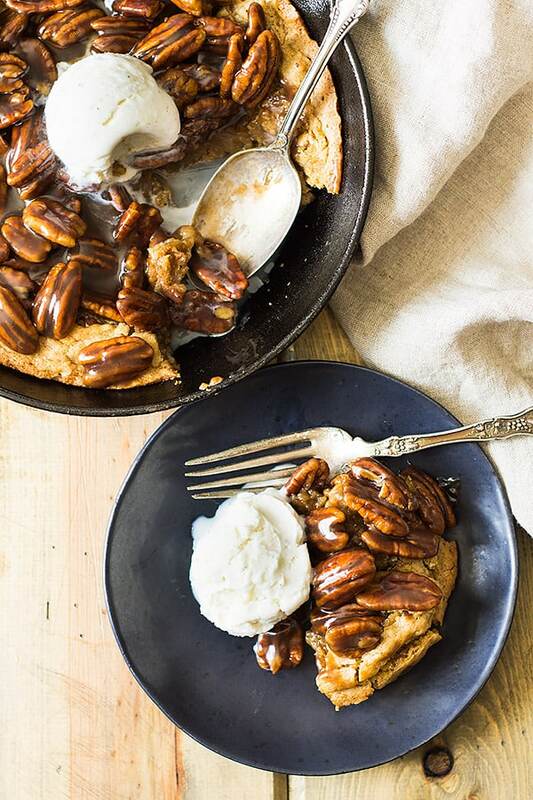 A skillet blondie with bourbon caramel pecans was born. 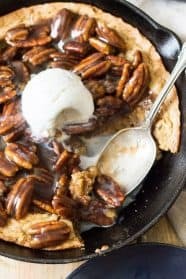 This dessert is made in a small 8″ cast iron skillet but trust me it is decadent enough to share with 3 other hungry people! 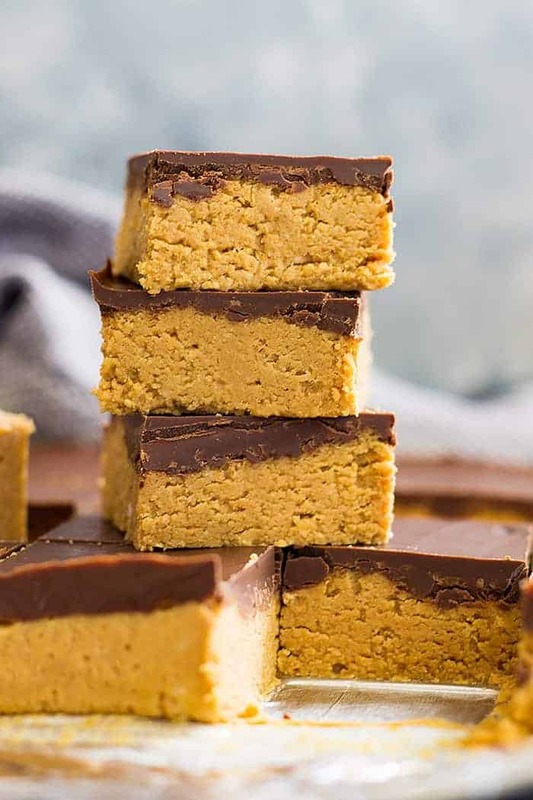 You could probably even serve this to six if you were using this dessert to round out a hearty fall meal. Otherwise, if you feel the need to keep this all to yourself, I won’t tell! Preheat oven to 350 degrees F. Lightly grease an 8" cast iron skillet with butter, set aside. BLONDIE: In a large bowl combine the brown sugar, butter, egg and vanilla. Add in the flour, baking powder and salt. Stir just until combined. Gently fold in the chopped pecans. 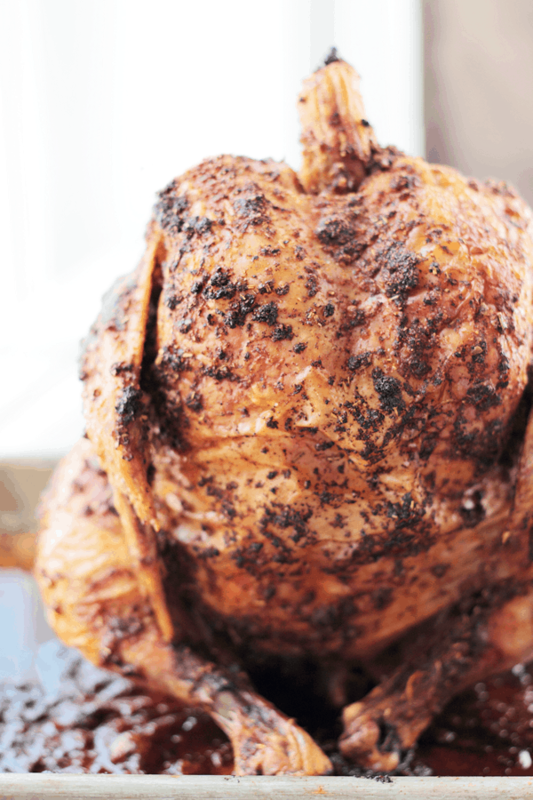 Spread into prepared skillet and bake for 18-20 minutes. TOPPING: Meanwhile in a large medium skillet cook the pecans, brown sugar and butter for 2-3 minutes over medium low heat until bubbly and sugar has dissolved. Stir in the whiskey or bourbon and remove from heat. Stir in cream. Spoon on top of baked blondie. If you don't have a cast iron skillet you can make this in a pie plate. It will be a little thinner and start checking the blondie at 15 minutes.